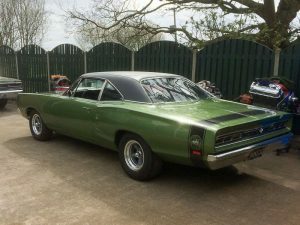 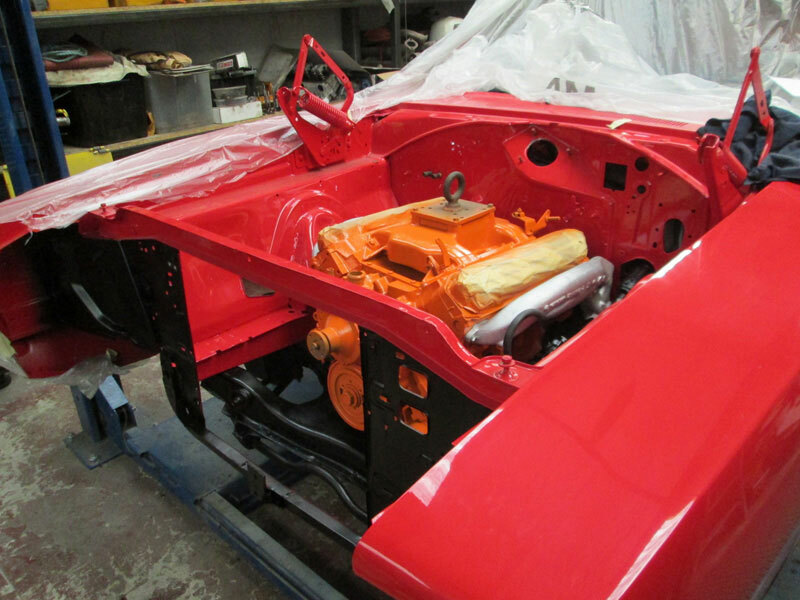 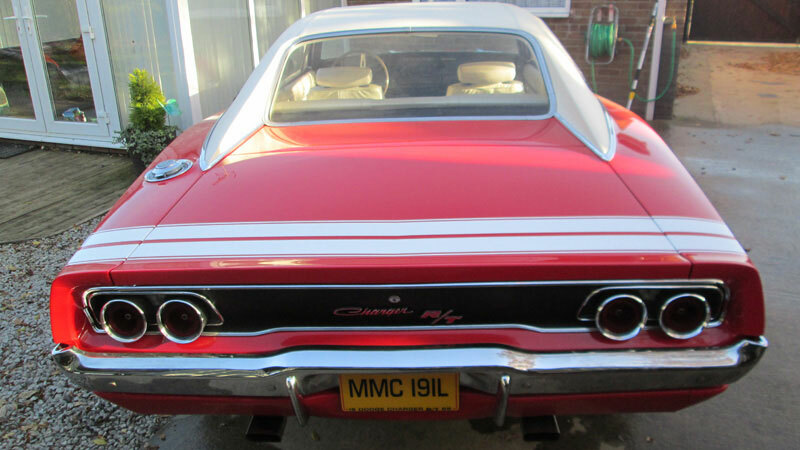 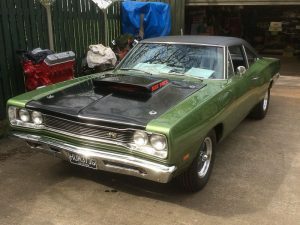 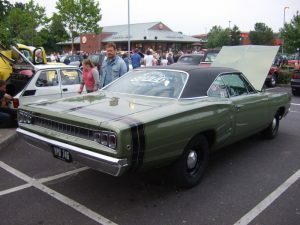 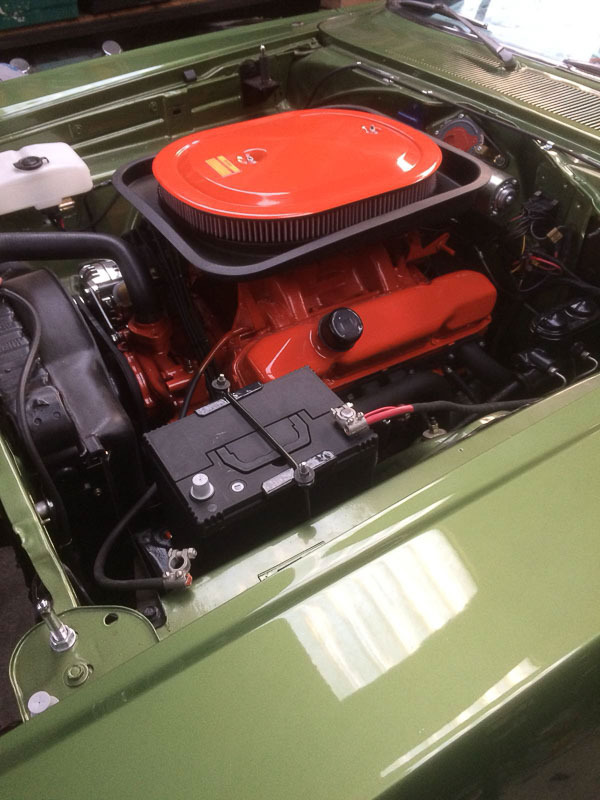 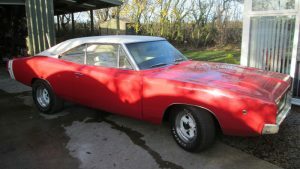 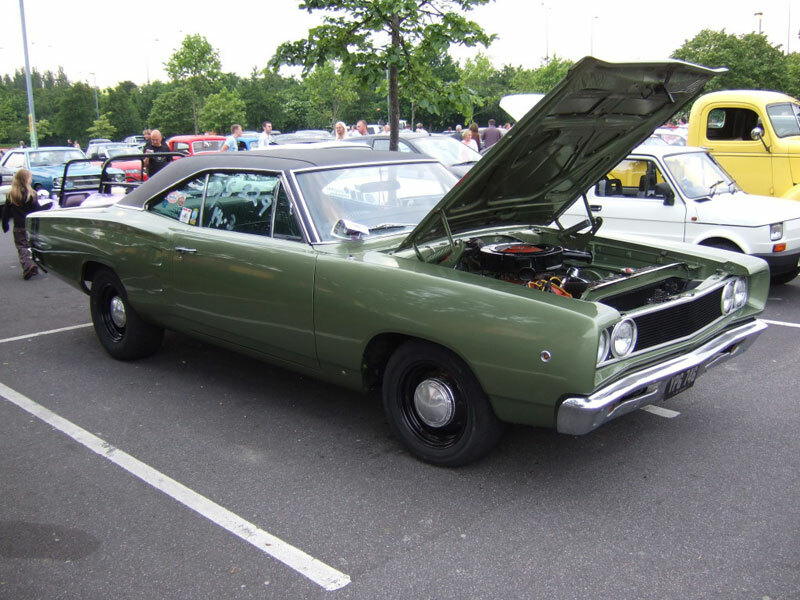 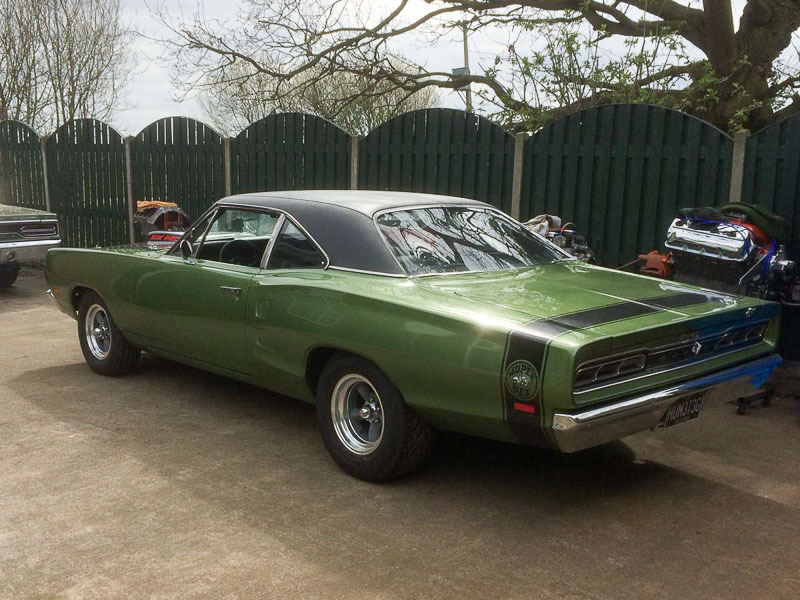 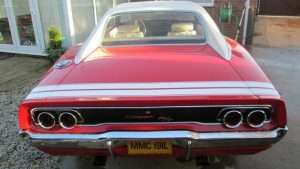 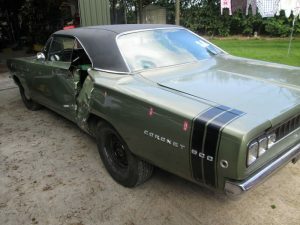 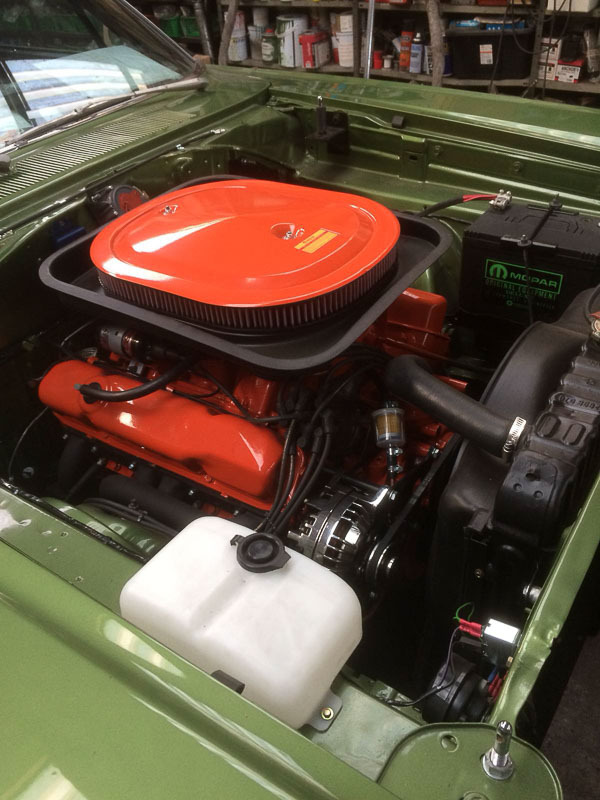 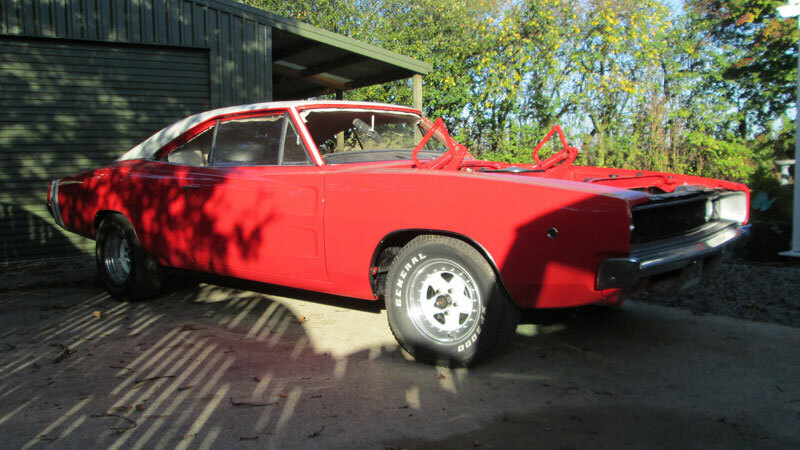 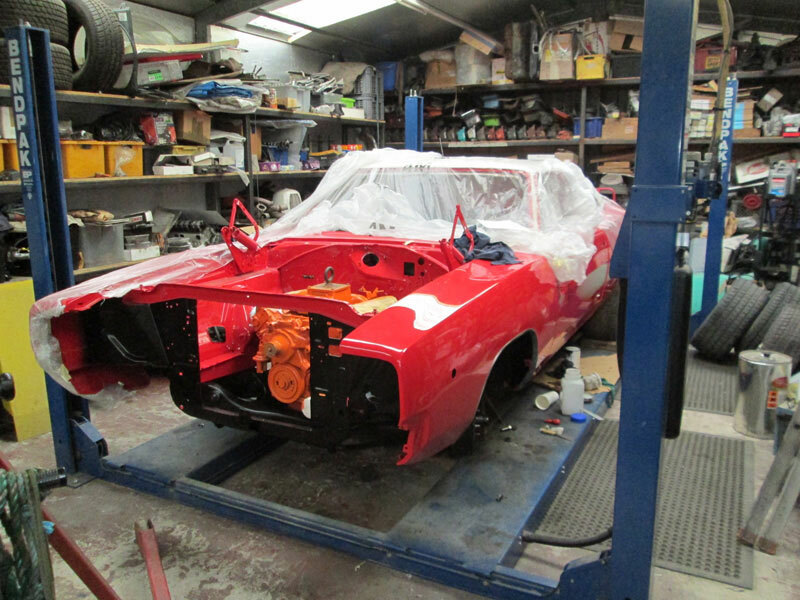 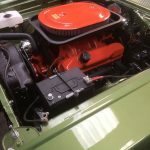 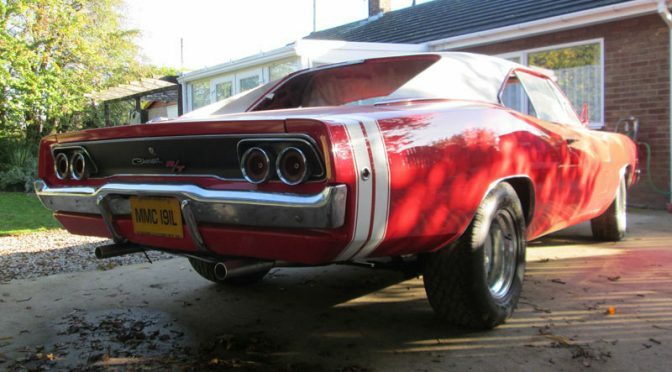 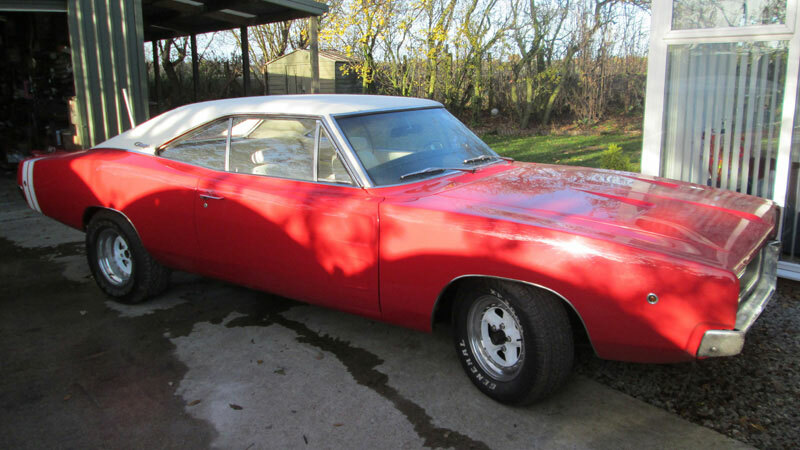 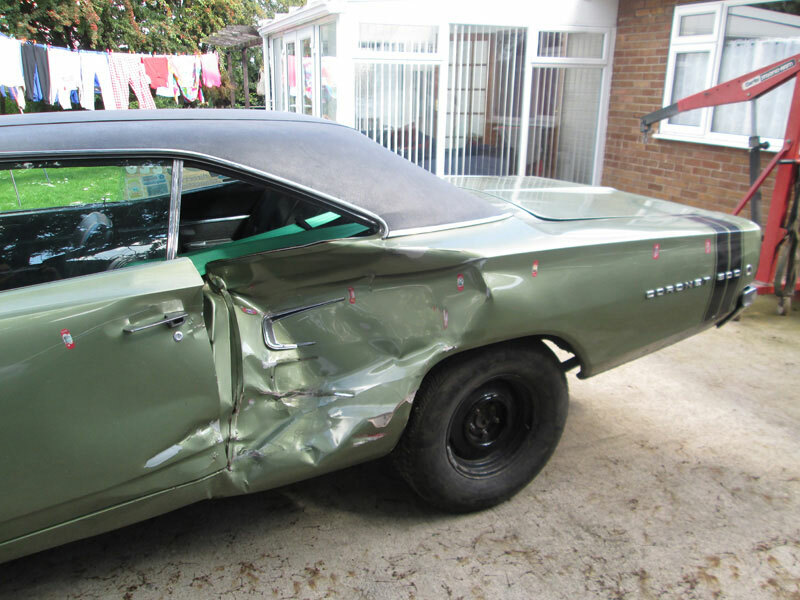 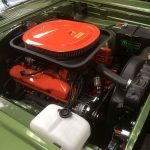 Mick’s Coronet underwent a full restoration at Billadeau Speed. 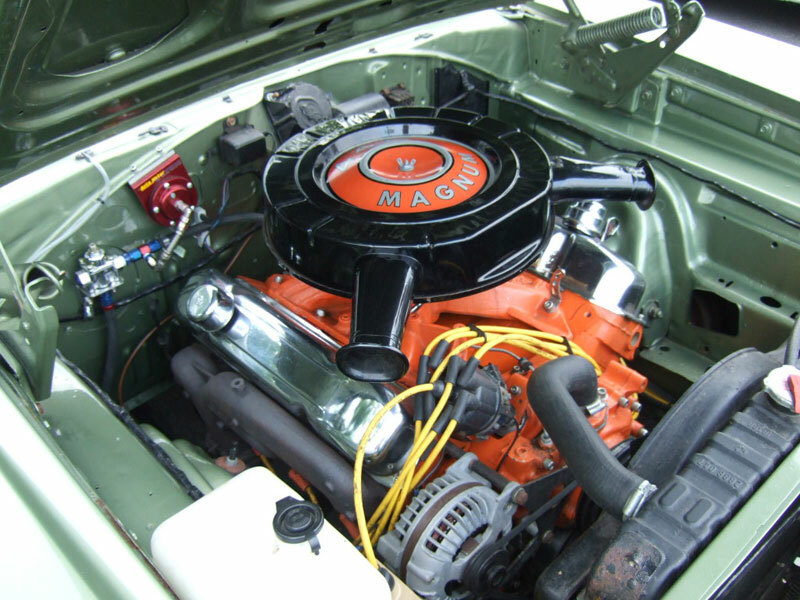 The 440 engine, built to stock appearance, features forged pistons and a hydraulic cam. The body was fully restored and painted in original TT1 Light Metallic Green, with a bumble bee stripe also made up and applied. 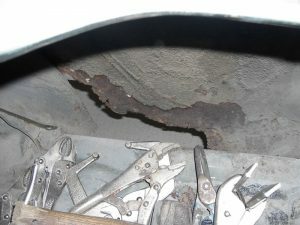 Further work in July ’07 included changing the gears from 323 to 391, which saw ETs drop from 14.1s to 13.6s, and also MOT work on the front brakes and bottom ball joints. 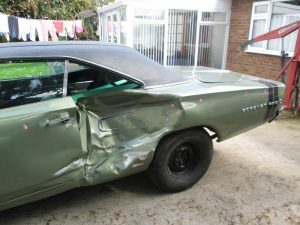 At the 2012 August bank holiday weekend round of American Super Stock, Mick had a slight skirmish with another car. 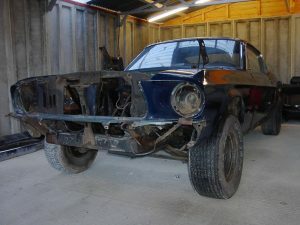 Billadeau Speed was able to help Mick begin the road to repair before the car was taken to Ash Rawson’s bodyshop for a new side to be fitted. 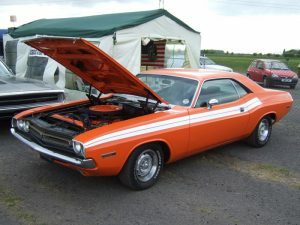 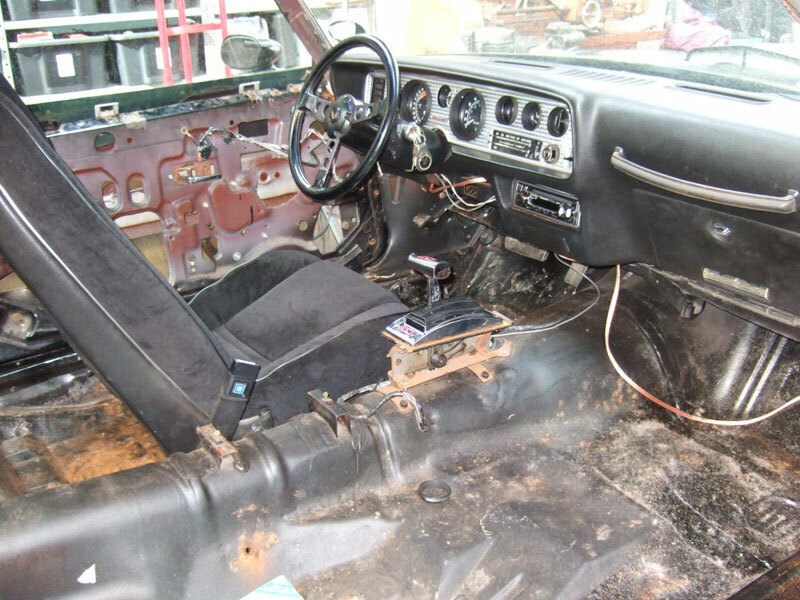 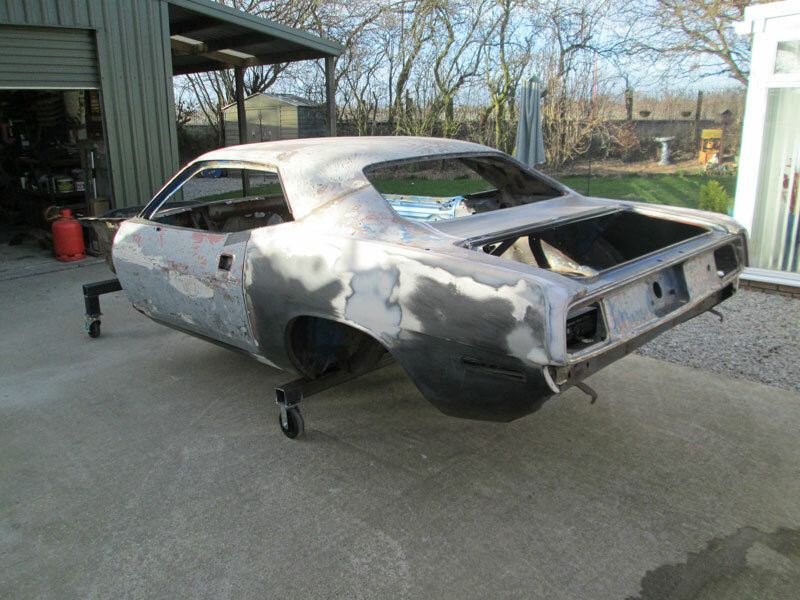 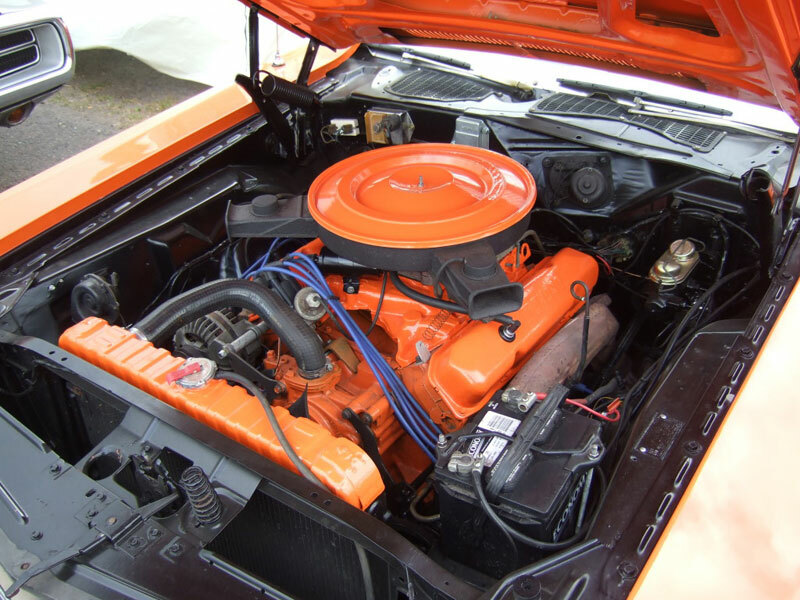 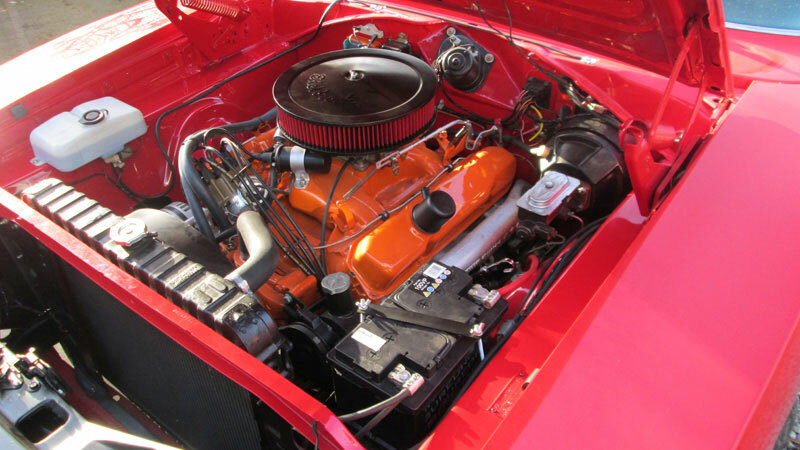 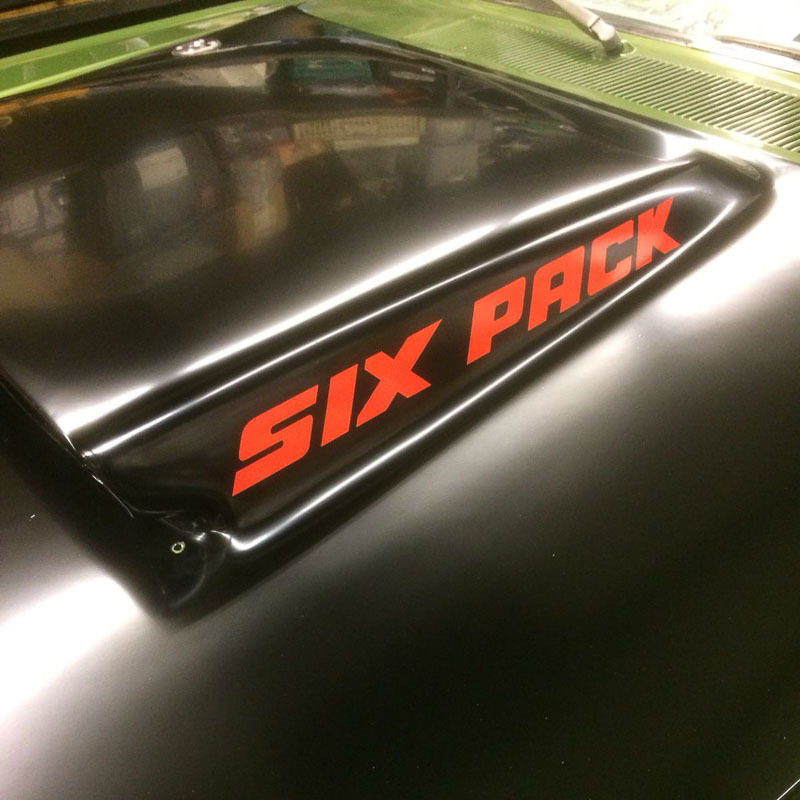 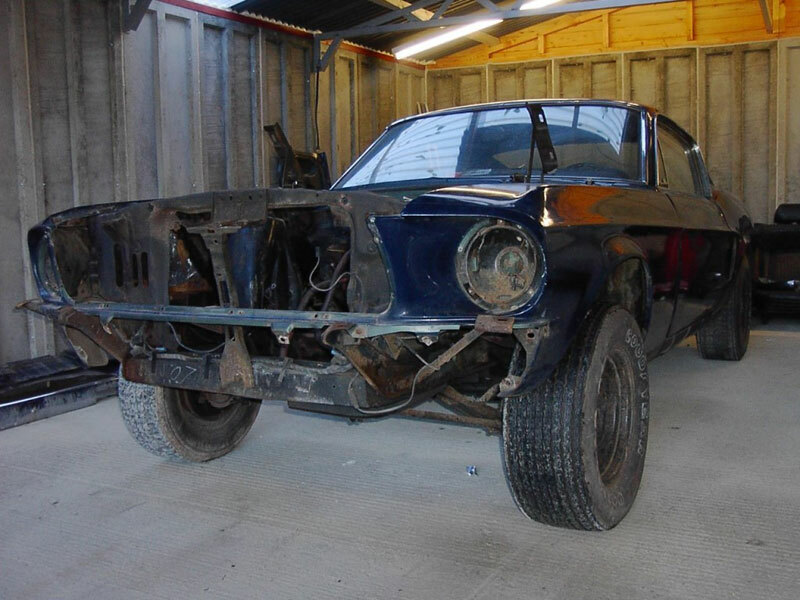 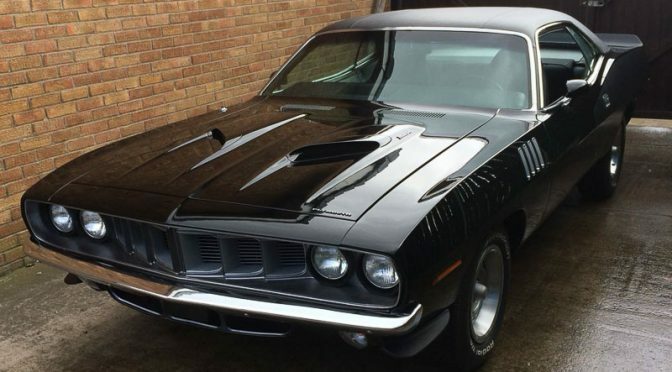 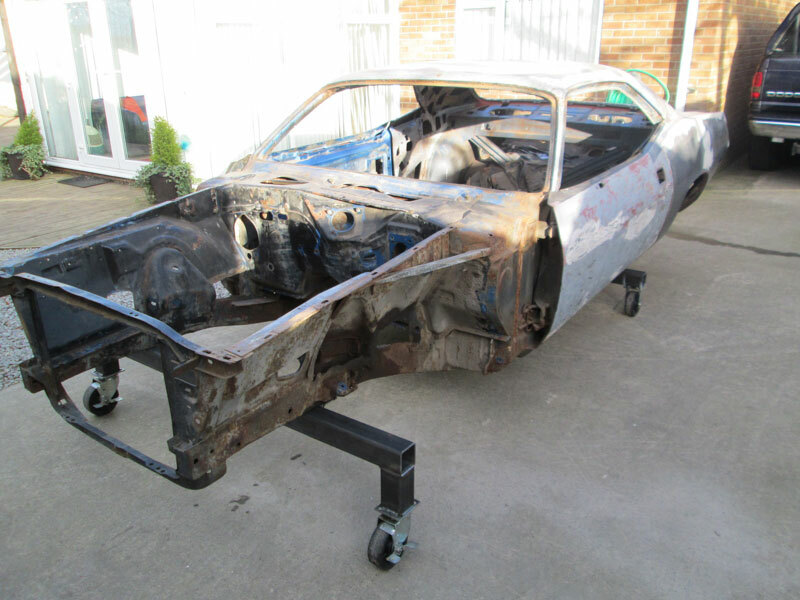 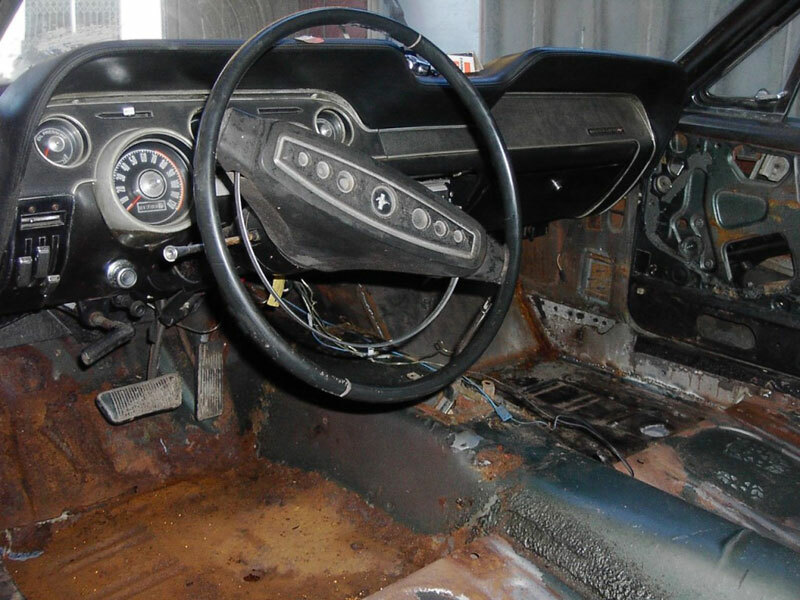 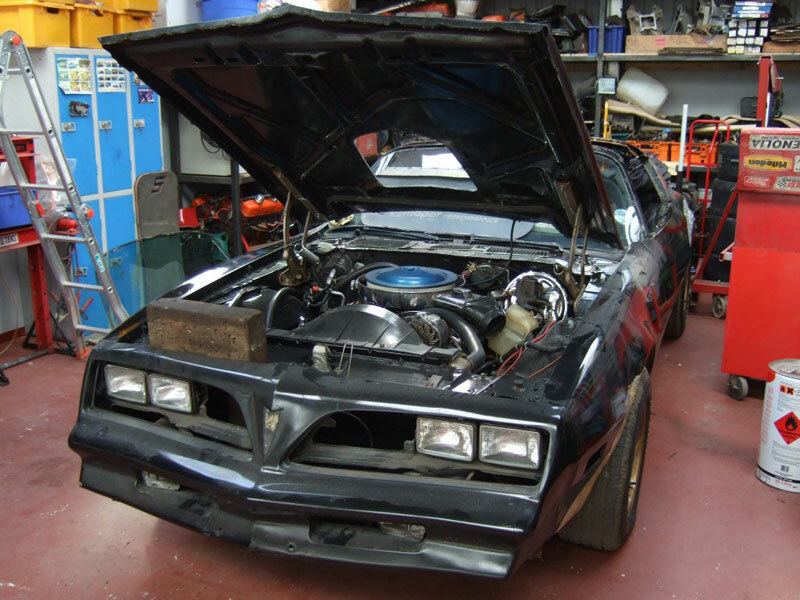 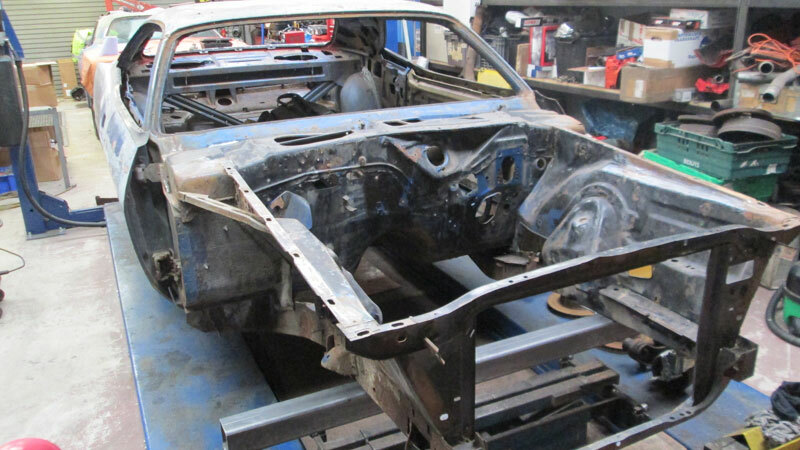 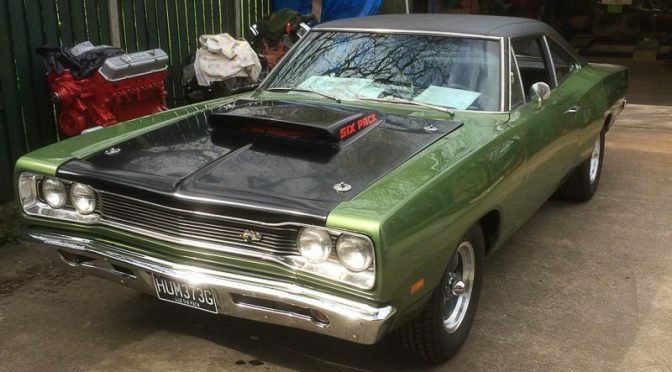 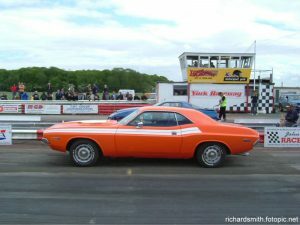 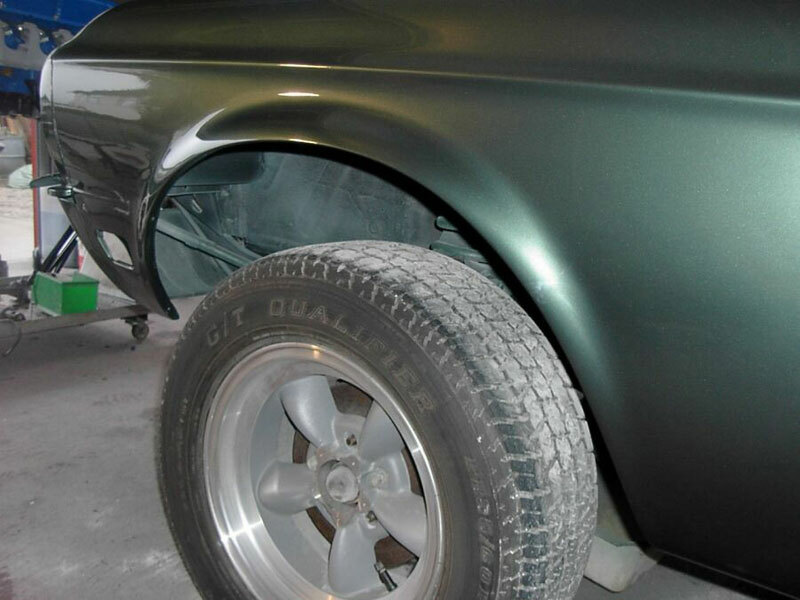 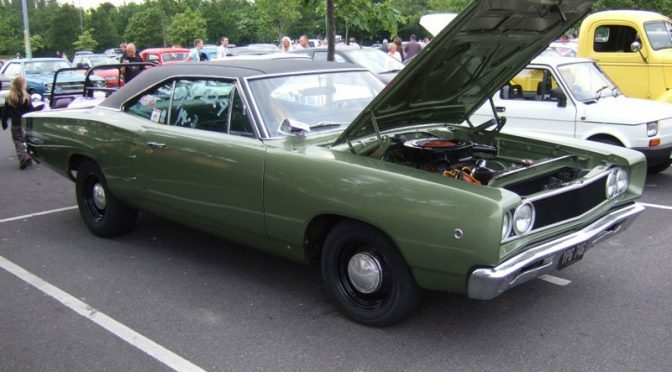 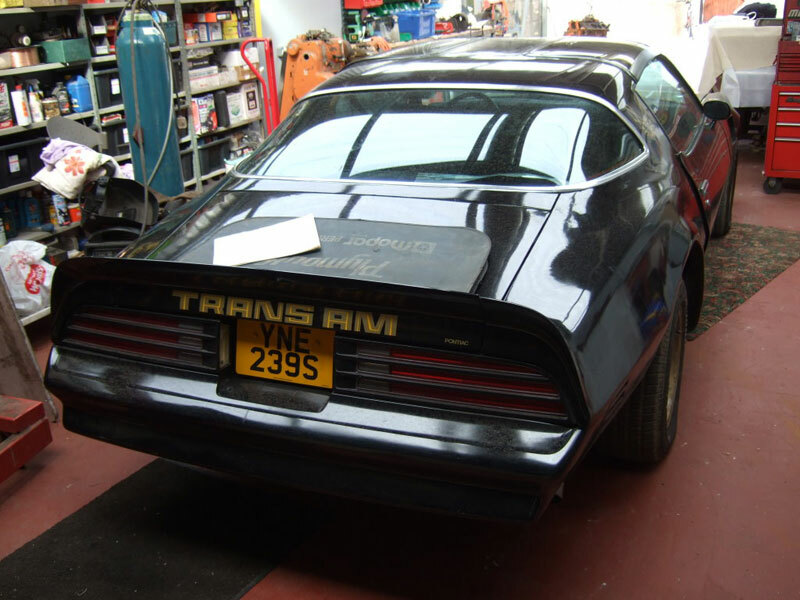 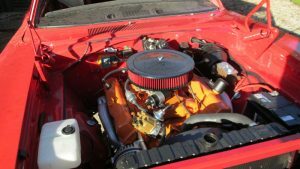 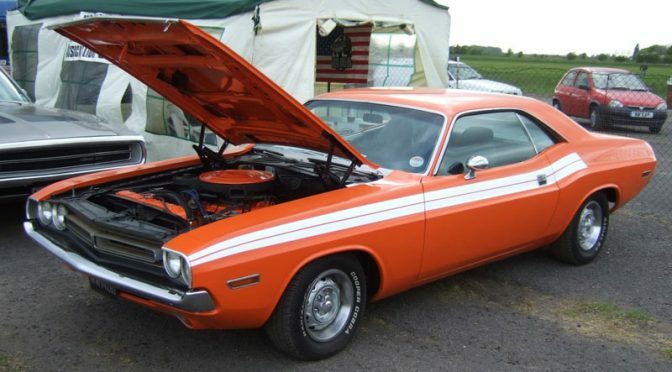 Before this Challenger was sold on to Brad it was owned by Dave himself, who performed a full restoration. 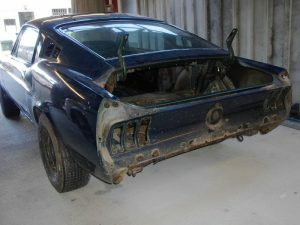 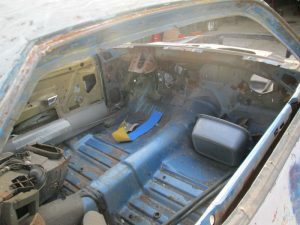 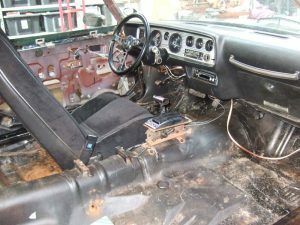 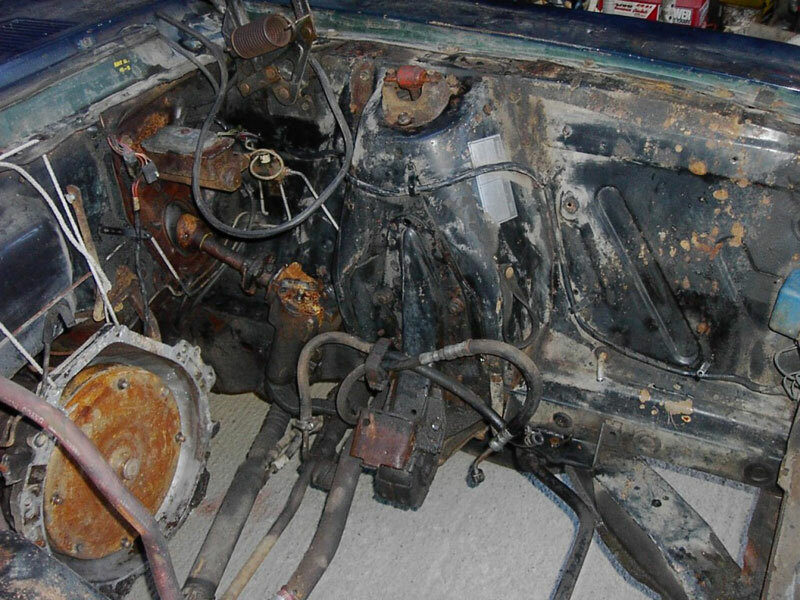 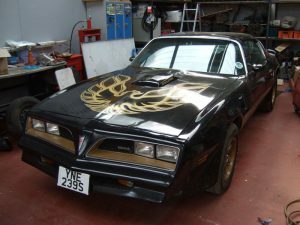 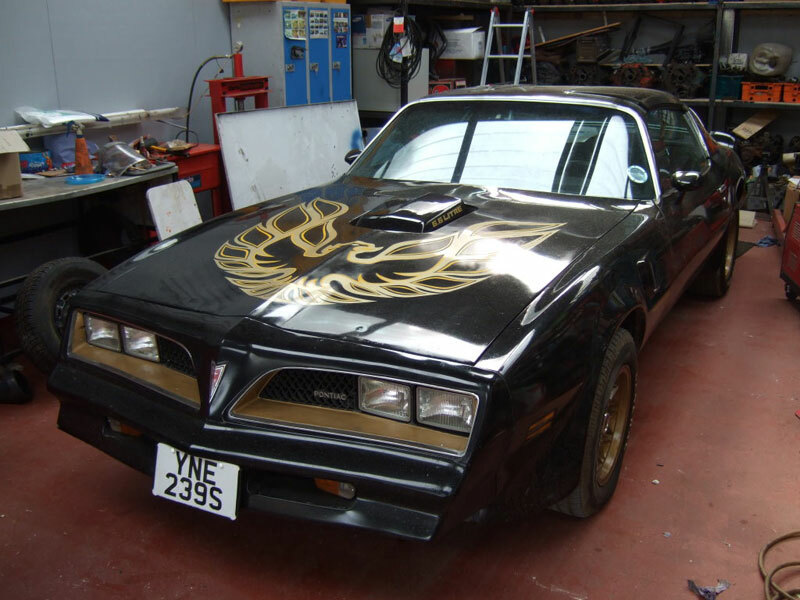 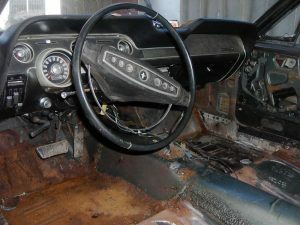 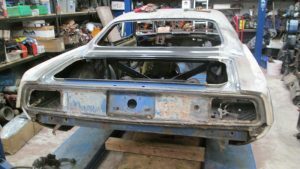 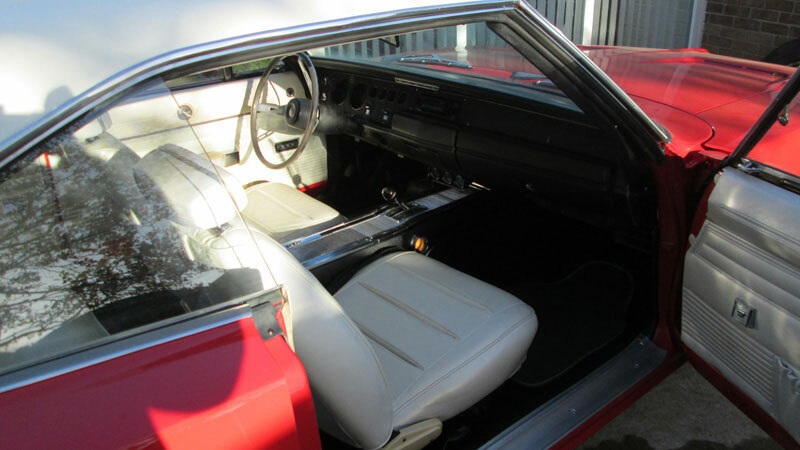 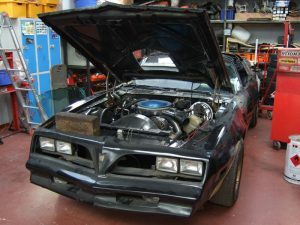 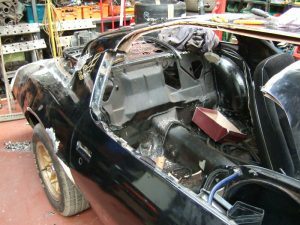 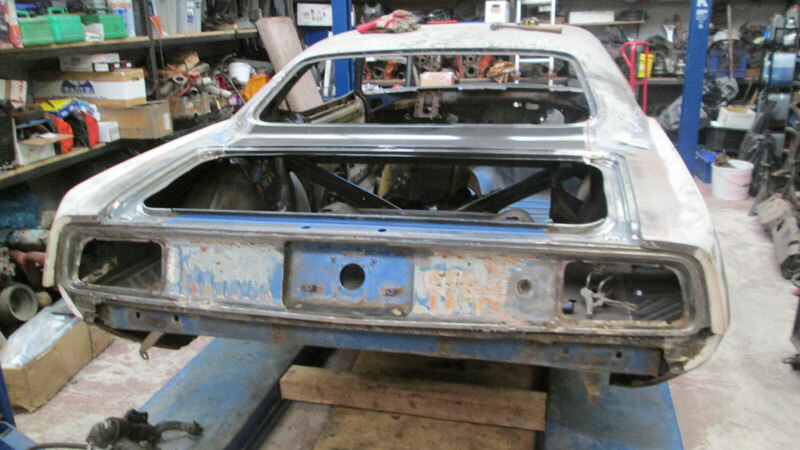 Bodywork, paint, interior and the 440 Magnum engine were all given attention. 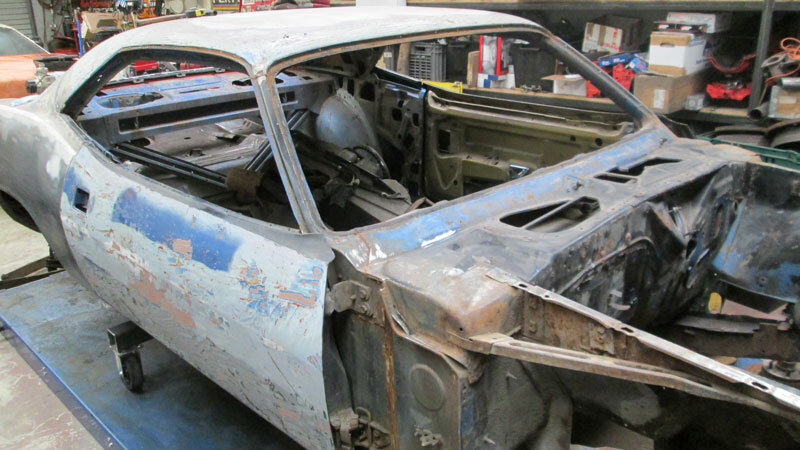 The car was originally blue with a white vinyl roof and a 318 motor. 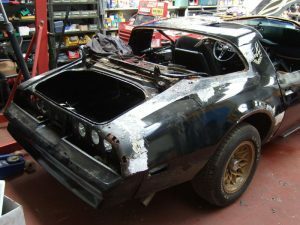 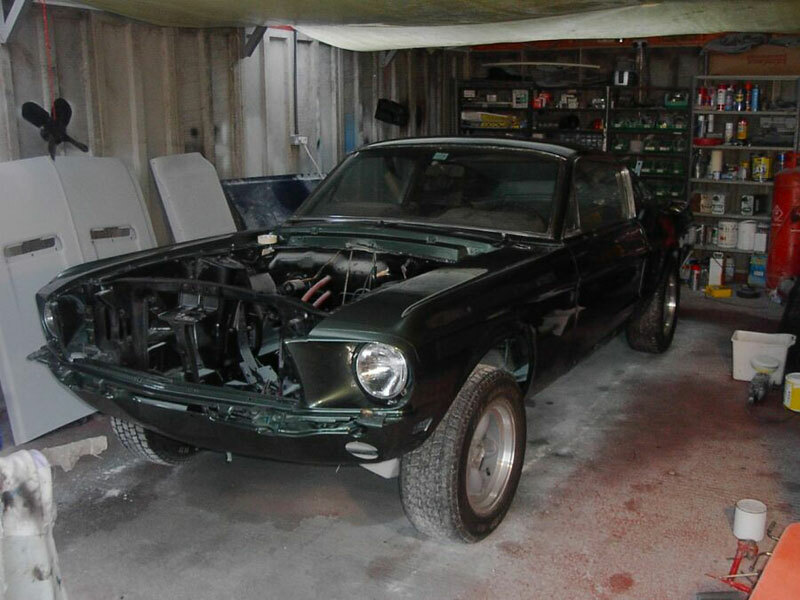 Here’s a brief example of one of our old restoration projects. 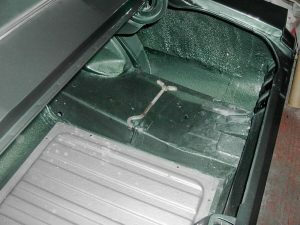 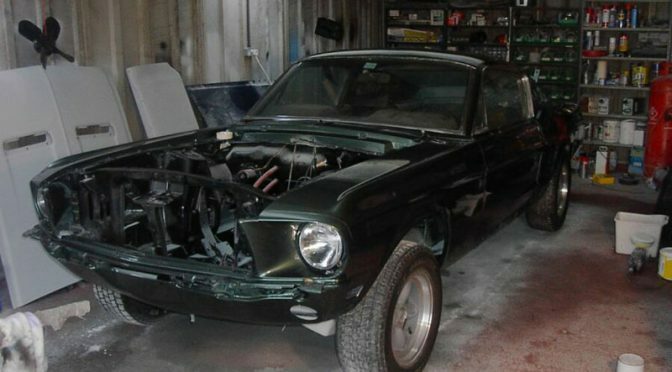 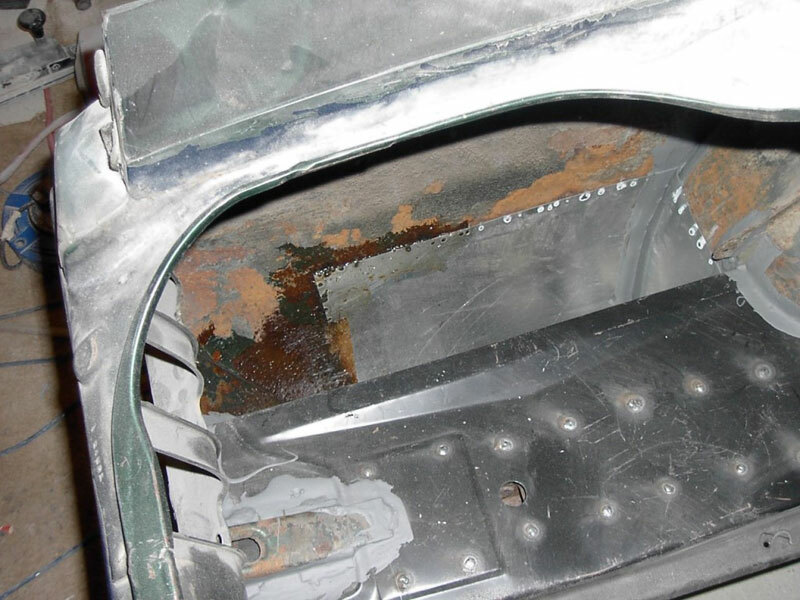 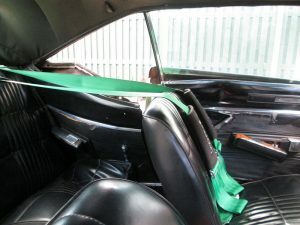 After a full body restoration the car was painted Highland Green.